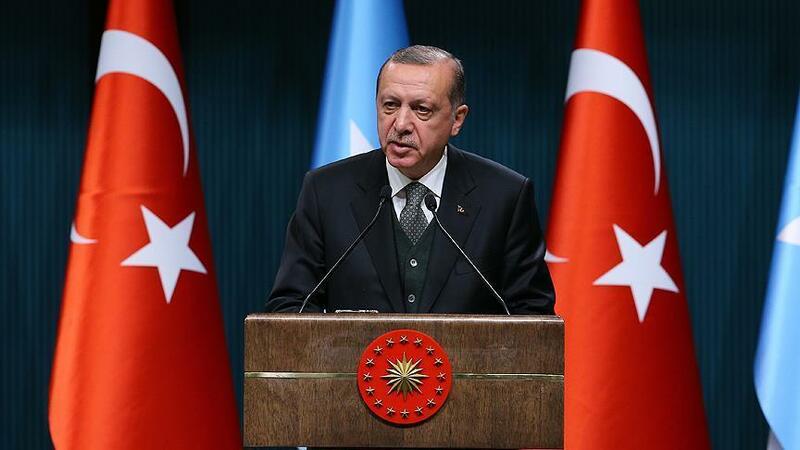 The Syrian crisis cannot be solved in one day, Turkish President Recep Tayyip Erdogan said during a joint press conference with the presidents of Iran and Russia in Tehran, the Turkish media reported Sept. 7. President Erdogan stressed that as opposed to other countries, Turkey, Iran and Russia are taking real steps to solve the crisis in Syria. Regarding the situation in Syria’s Idlib, President Erdogan said that Turkey's goal is to protect the civilians from a humanitarian crisis. Today, the presidents of Turkey, Iran and Russia held a trilateral meeting, during which the situation in Syria’s Idlib was discussed. Idlib is one of the de-escalation zones as part of the Astana format. There are about 3 million civilians in Idlib.